Mark was born and raised in the Boston area and received degrees from M.I.T. (1966, B.S., Chemistry); Indiana University (1969, M.S., Organic Chemistry); and Drexel University (1980, M.B.A., Marketing). His career was spent at Smith, Kline & French Labs / SmithKline Beckman / SmithKline Beecham / GlaxoSmithKline. 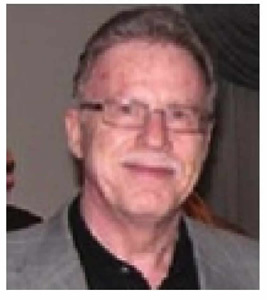 He worked for 37 years as a research chemist (9 yrs); in various positions in U.S. Marketing Operations (19 yrs), ending as Group Director, Oral Antibiotics; and in Strategic Planning within R&D (9 yrs) retiring in 2007 as Group Director, Global Product Strategy.His philatelic collecting interests focus primarily on the U.S. postal history of Boston and Essex County, Mass. ; the NY Postmaster Provisional; and transatlantic mail. Mark has exhibited both single and multi-frame exhibits since 2008, and his Boston exhibit has competed in the APS Champion of Champions C of C three times. He has written articles for the Chronicle of the U.S. Classic Postal Issues, the Collectors Club Philatelist; the American Philatelic Congress Book; the India Post; and the Massachusetts Spy. Mark is a member of the American Philatelic Society; the U.S. Philatelic Classics Society (as Asst. Treasurer); the Postal History Society; the Carrier & Locals Society; the Collectors Club of New York; and the Greater Philadelphia Stamp & Collectors Club. He serves as a member of the boards of the Philatelic Foundation; the U.S. Philatelic Classics Society; the Postal History Society; and the Philadelphia National Stamp Exhibition.